It’s always baby season in the crochet world! I love crocheting baby blankets with self-striping yarn for a couple of reasons. 1. It picks the color palette for me! And there are so many self-striping yarns available now, the options are pretty much endless. 2. They work up so quickly! You don’t need to worry about color changes or weaving in a lot of ends, and you still get a beautiful, multi-colored blanket. Here are some of my favorites made with self striping yarn. Sign up for my free email newsletter to get all of my updates on free crochet patterns, crochet news and more directly to your inbox! 1. Rainbow Cluster Blanket by Rescued Paw Designs - If you want to go with a self-striping baby blanket, Red Heart Stripes yarn is a fantastic option to consider. This Rainbow Cluster Blanket shows off the yarn beautifully and would look fabulous in multi or solid colors! 2. Unicorn Stripes Baby Blanket by Left in Knots - This blanket is fast and easy to make and can be adjusted to any size. Also made with Red Heart Stripes or your favorite yarn for blankets. 4. Lunar Crossings Square Blanket by Crochet Kim - Also worked in the round, the Lunar Crossings Blanket shows off the beautiful monochromatic striping of Red Heart Ombre yarn. 5. 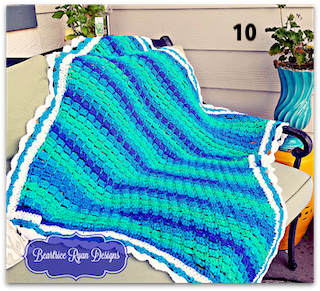 Crochet Color Pooling Blanket by Repeat Crafter Me: If you haven’t tried planned pooling yet - try this tutorial from Repeat Crafter Me! 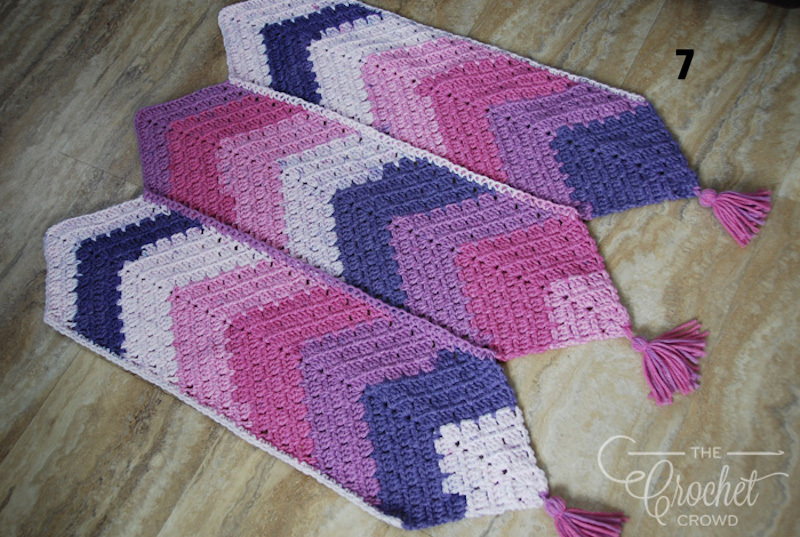 The granny stitch in rows work up quickly and the argyle effect of pooling is truly stunning. 6. 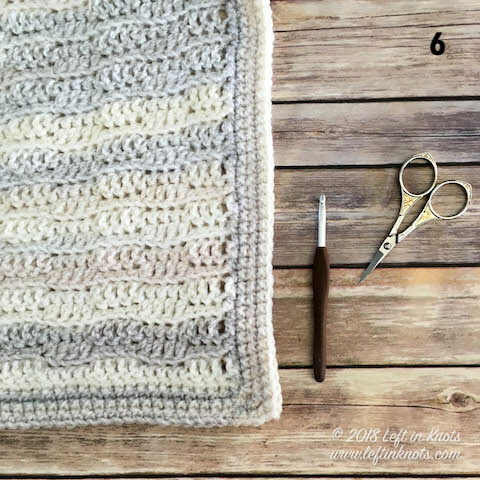 Dreamy Waves Blanket by Left in Knots: Striped don’t always have to be colorful! The Dreamy Waves Baby Blanket shows off muted stripes in a gender neutral blanket. 7. 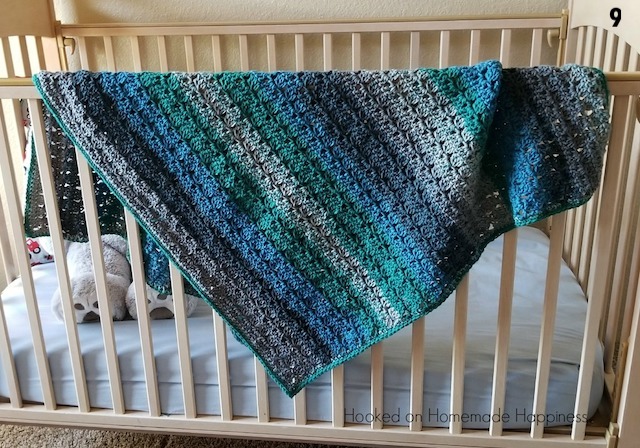 Triple Mitered Granny Baby Blanket by The Crochet Crowd: I absolutely LOVE the shape of this mitered baby blanket. This pattern looks like it would be easy to adjust to be a size for an afghan as well! 8. Simple Rectangular Granny Square Blanket by Underground Crafter: Grannys don’t always have to be square! Here it is in a rectangle with a pretty, lacy border. 9. Cluster Stripes Baby Blanket by Hooked on Homemade Happiness: Caron Cakes yarn is basically made for self-striping baby blankets - like this one from Hooked on Homemade Happiness! 10. 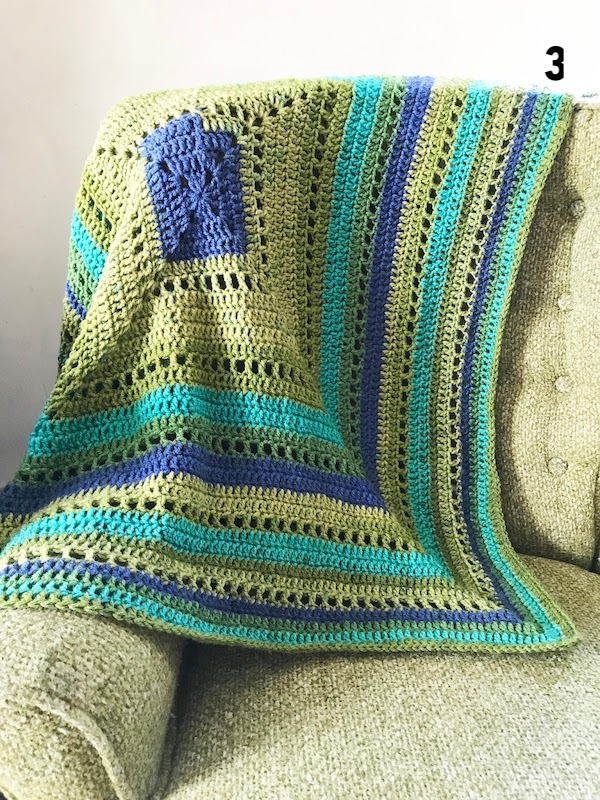 Mountain Streams Baby Blanket by Beatrice Ryan Designs: This blue/green blanket is a beautiful way to use the block stitch, and I love the contrasting white, scalloped border. I LOVE seeing your projects! Come share pictures of your work in my Left in Knots Crochet Community :) If you are looking for more free patterns from me, you can find over 100 on Ravelry here!